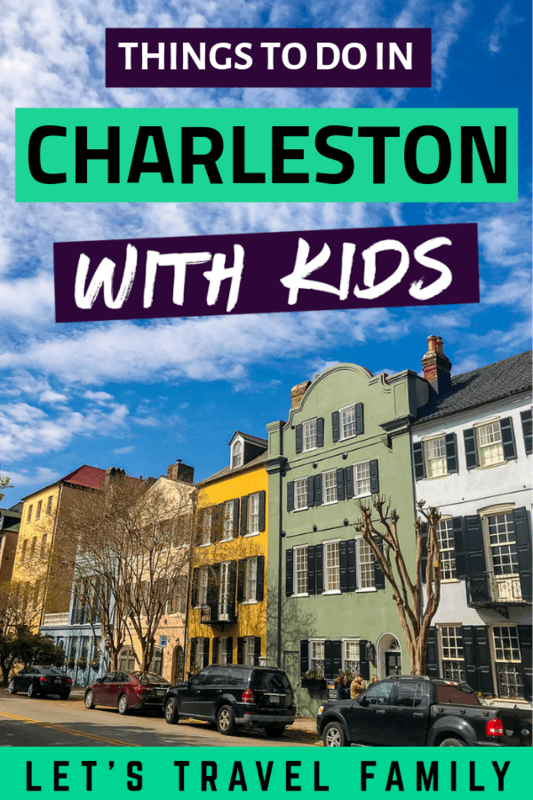 Are you wondering if Charleston South Carolina is a great place to take your kids on a vacation? Or maybe you already have the trip booked, but you need to know what some of the best things to do in the area are. 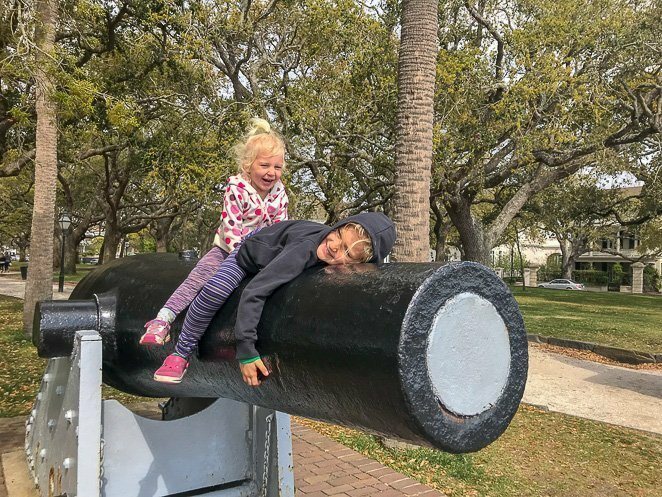 Our traveling family of 6 just spent a week in the ‘holy city’ and want to share with you our best tips, ideas, and fun things to do in Charleston SC with kids. Have you ever boarded an aircraft carrier? Patriots Point is your chance to board the USS Yorktown and see how the solders lived during WWI. As a family who has never stepped foot on a ‘boat’ bigger than a glass bottom boat tour in Key Largo, we were awed. Give yourself several hours and grab a baby carrier for any kiddo under 4 so that you can easily get around as you will be climbing up and down steps that are much like ladders. 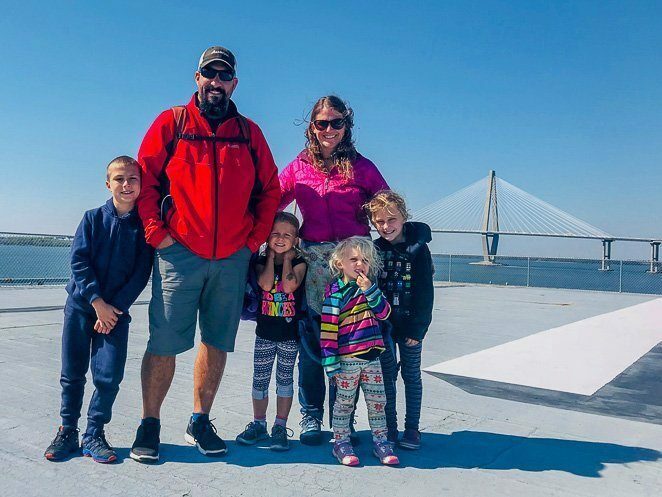 Bring snacks and seasick bands if anyone in your group is prone to motion sickness, as you will begin to feel it while aboard the USS Yorktown. Patriots Point is open from 9:00-6:30 daily. You may purchase tickets online to avoid any lines. Or, you may purchase adult walk-in tickets for $22 per adult and $14 per child 6-17 years old and children ages 5 or younger may enter free with a paid adult. Military in uniform receive free admission, activity duty military with an ID receive $5 off per ticket. Parking cost is $5 per vehicle. 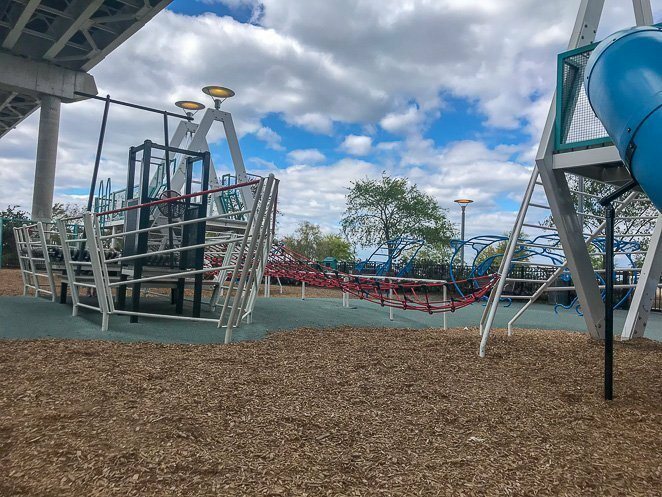 If you are looking for free things to do in Charleston SC with kids, then check out the playground at Mount Pleasant Memorial Waterfront Park. It is a replica of the bridge that goes over it, which also functions to provide shade during the hot summer days while the children play. Sometimes the best place to spend an afternoon on vacation is at a playground together. Our family really enjoys making memories together while we travel, and this playground was a great place to wind down after a fun day of exploring Charleston. The bathrooms are close, the parking is free, and the view is fantastic. It is located a few miles from Patriots Point, so bring a picnic and make a day of it! 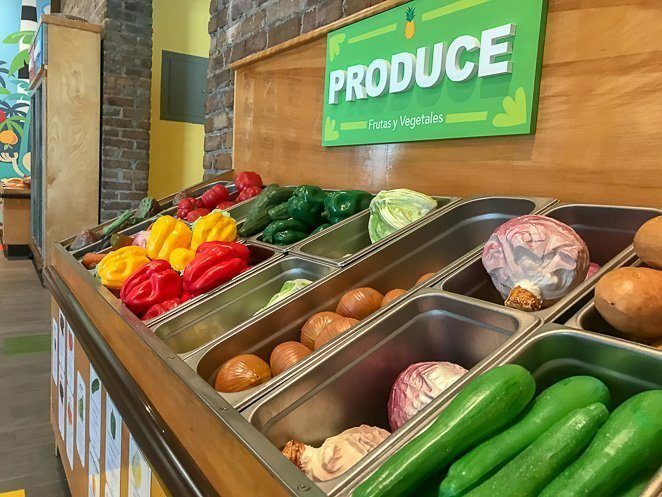 If you are looking for a great indoor activity for your family in downtown Charleston, then be sure to check out the Charleston Children’s Museum. Park in the Charleston Visitor Center parking lot and walk only one block over to the entrance of the museum. The Children’s Museum of the Lowcountry did not disappoint. We especially loved the art room, castle room, and digitally-enhanced grocery store market area. During our visit we brought snacks, water, and our abundance of energy. The price for tickets are $10 for South Carolina residents, $12 for non residents, and free for children 12 months or younger. If you have an Association of Children's Museum pass from another museum, you receive 50% off admission. If you have a military ID or Educator ID you and your family receive 10% off. Click here for more details. One of the top things to do in Charleston SC is to take a carriage ride tour. The famous Charleston tours can hold up to 16 people and allow you a one hour tour of the amazing city. My recommendation is taking a carriage ride with Old South Carriage Co. They were great in accommodating the entire family, allowed booking online, the seats were very comfortable, the tour guide was very personable and informative, and children ages 3 and under were free! The carriage ride tour was just the right amount of time for our 4 children, lasting just about an hour. I highly recommend purchasing tickets ahead of time online to avoid the lines. Be ready for a great history lesson while enjoying the view of the exciting city that in many places, sits below sea level! Our tour guide told us that one of the top things to see in Charleston SC was the old jail. 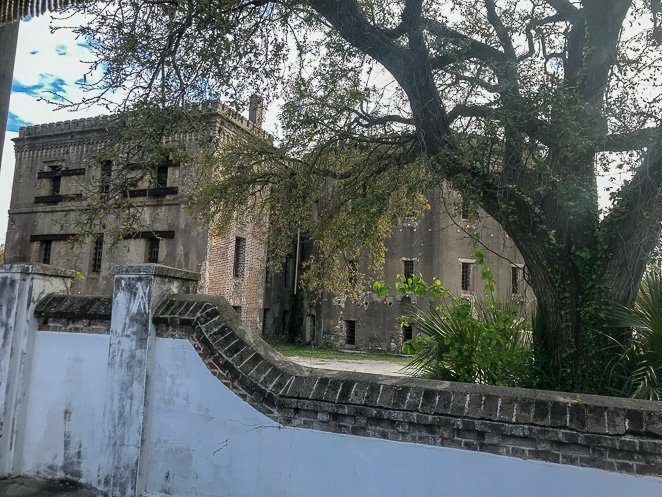 We were lucky enough to catch a glimpse of this jail on our tour, as our kids were much too young go on a ghost tour of the jail. Our tour guide informed us that the Jail, along with many other buildings, can never be torn down. The city made a law that if a building is over 75 years old you may not tear it down! Parking can be a bit tricky, so be sure to arrive early and try to find metered street parking for $2 per hour up to 2 hours. They take credit cards or quarters. Price for the tour was $26 per adult and $16 per child ages 4 and older. Children 3 and under were free! 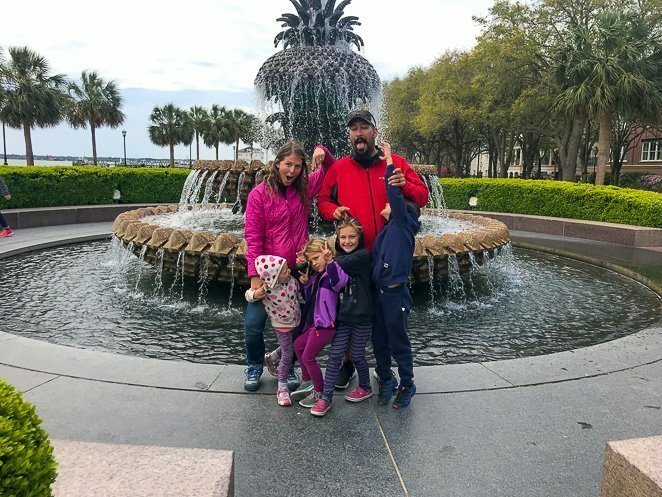 Waterfront Park in Charleston SC holds the famous Pineapple Fountain that is a great place for a family photo! Our family had fun making silly faces, but maybe you can get a better 'smiling' photo of yours. The Pineapple is a symbol of hospitality in the early American Colonies. The fountain sits on a large patch of green space where the kids could run around and play tag on a cool fall day. If it’s a hot summer day when you visit Charleston, then be sure to bring a change of clothes. 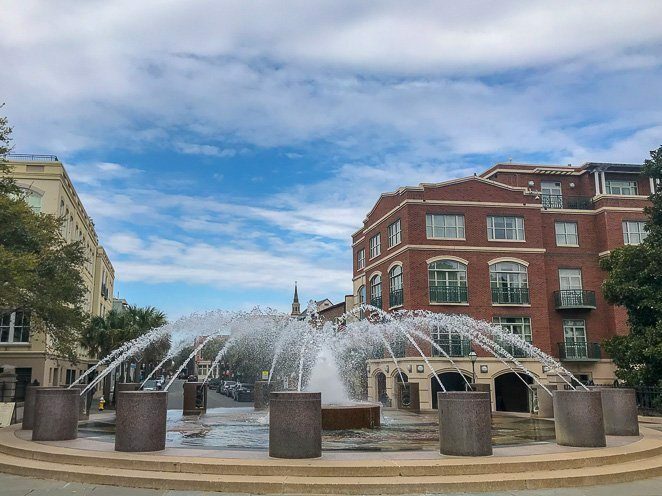 Your kids will love to run through the second fountain at the Waterfront Park with all the other children that will most definitely be there cooling off. There are plenty of benches to relax and watch the children while having a picnic lunch too! Parking can be a bit tricky depending on the time of day you visit. You may be in luck to find a side street with parking available nearby, otherwise I recommend arriving early and planning to walk a bit. 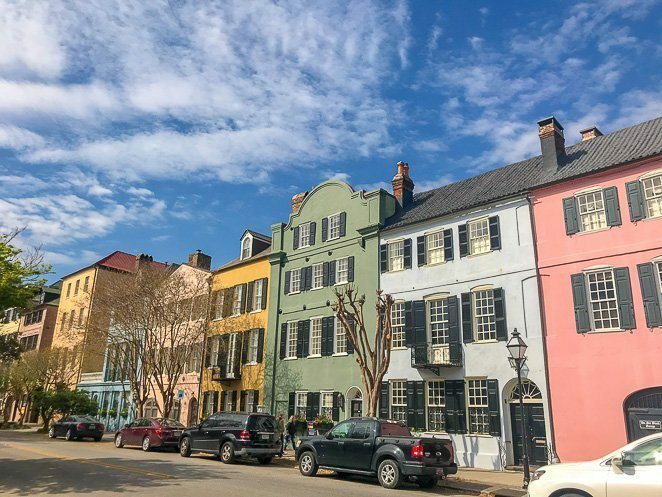 If you have a few extra minutes, walk down East Bay Street on your way to The Battery and see the famous Rainbow Row. These 13 historic buildings are brightly painted their original colors and bring artists and tourists alike to see their beauty. The historic homes were built in the mid to late 1700's and are now owned privately as homes. However, it is still one of the most photographed areas of Charleston. The Battery is one of the most visited places in historic downtown Charleston. This is where the Ashley River and Cooper River meet and you can look out over the Charleston Bay. The seawall at the southernmost tip of the Charleston Peninsula is guarded by the many cannons still around The Battery today. Our kids loved climbing on the cannons and looking out over the water. As one of the most visited historical sites in Charleston SC, we were glad that we walked this far to see it. 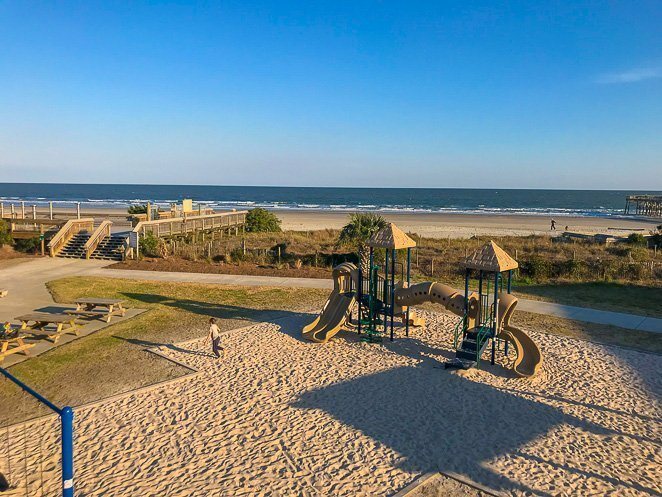 If you are looking for one of the best Charleston beaches for kids, then look no further than Isle of Palms. The county park and beach are in the center of Isle of Palms, just a 15-minute drive from downtown Charleston. The playground here was fun and the beach was beautiful, even if it was too cold for our family to venture out to the water. We appreciated the nice clean bathrooms, new playground with soft sand to play in, and view of the beach. On warm days the changing rooms, picnic tables, volleyball net, fresh water to rinse off from the beach, and a walkway over the sand dunes to the beach will keep any family happy. Walk along Shem creek and watch the fishermen feed the pelicans their scraps! 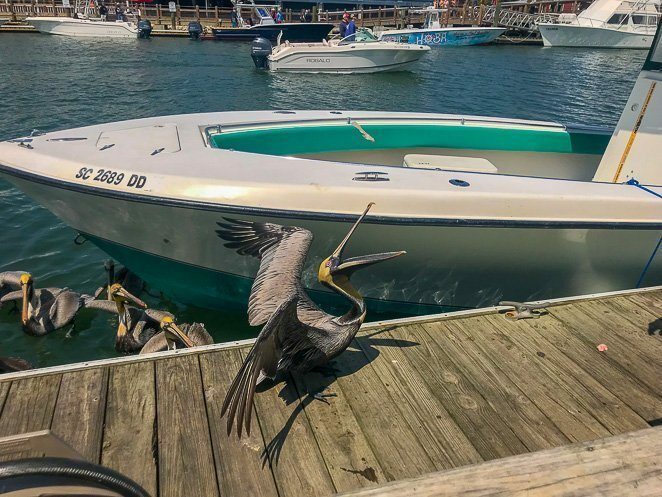 We really enjoyed taking an afternoon to grab a bite to eat and watch the pelicans on Shem creek. We found it to be very family friendly when we grabbed lunch one afternoon. We also learned that you can kayak down Shem creek and we hope to come back next fall and do just that! As our family of 6 loves to find great places to kayak. You cannot visit Charleston without grabbing some down south cooking! 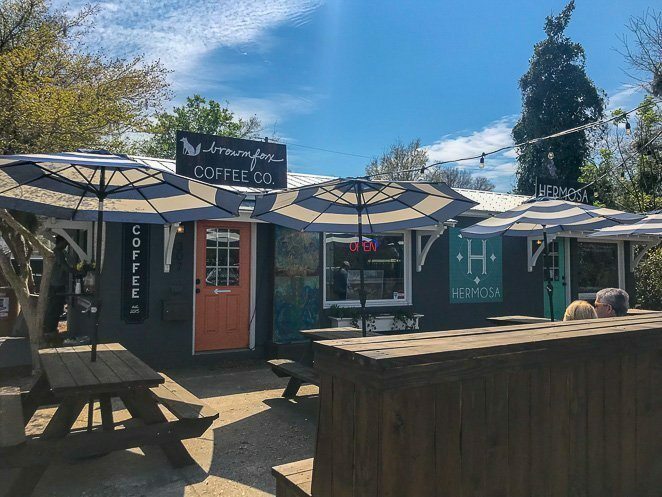 Tony and I also like to hunt down the local coffee shops for a taste of their espresso, and were happy to have found two great coffee shops that I'm excited to share with you. 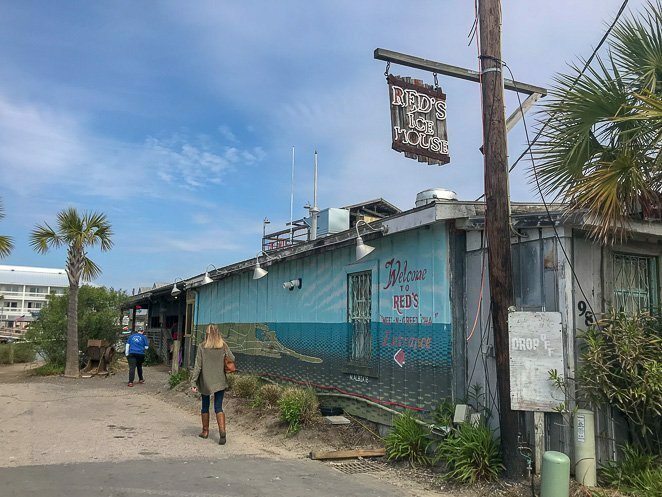 If you are looking for a great place for seafood, wings, french fries, and affordable waterfront eating, then check out Red's Ice House. It's located on Shem Creek, an easy drive from downtown Charleston. Our friends recommended Red's as a great place to grab lunch as a family, and we were not disappointed. I especially loved my shrimp BLT with fried green tomatoes. Ready for a quick coffee fix? Then stop by this fantastic local coffee shop. The baristas are super sweet and welcoming and the coffee was honestly some of the best we have had in a while! There is outdoor seating and a walk-up window to grab your cold brew on a hot summer day. This is the first pizzeria that I have found with both gluten free crusts and dairy free pizza options! 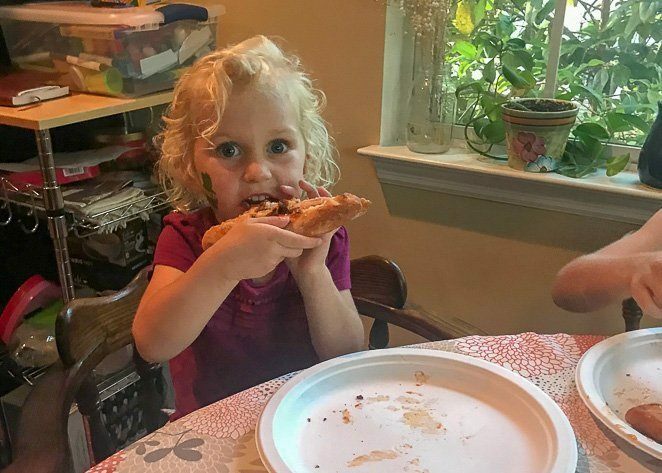 Our daughter Jasmine has a dairy intolerance, so we often struggle to find dining out options that will accommodate our family. Mellow Mushroom was recommended by my cousin as she is dairy and gluten free and able to eat here without any issues. 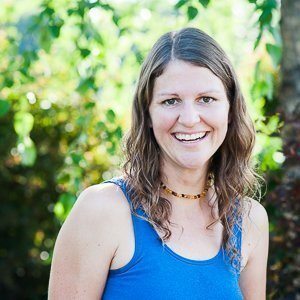 The dairy free cheese is made with soaked cashews and other ingredients that were whole foods and overall healthy. It was a total hit! 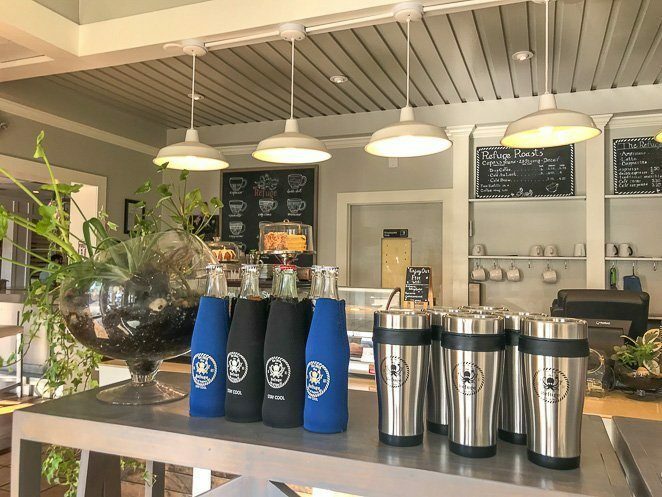 If you are looking for a great cup of coffee while visiting Isle of Palms beach, just two blocks away is The Refuge. I grabbed a quick coffee here and saw a large assortment of freshly baked treats too. Those along with the great Americano that I bought, I'd recommend this place to anyone in the area. Have you ever overplanned your vacation? Had higher expectations to 'see more' or 'do more' than your family was up for doing? Well, I'm right there with you. When we spent a week in Charleston, SC with our kids, the intention was to visit the following places as well. However, I needed to pull back and allow for some down time throughout the week to just ride bikes, visit with our friends in town, and be sure to enjoy our experience visiting Charleston with kids that week. I did not want to push the kids too hard. 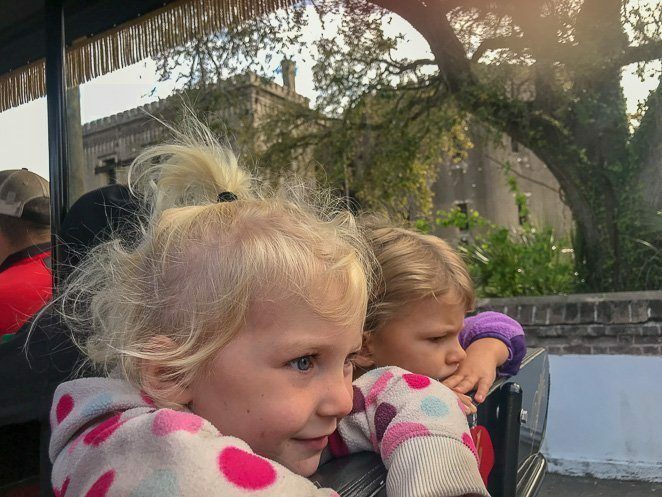 So here is our list of Charleston Attractions that we hope to check out with our kids during our next visit to the 'holy city'. What did I miss? 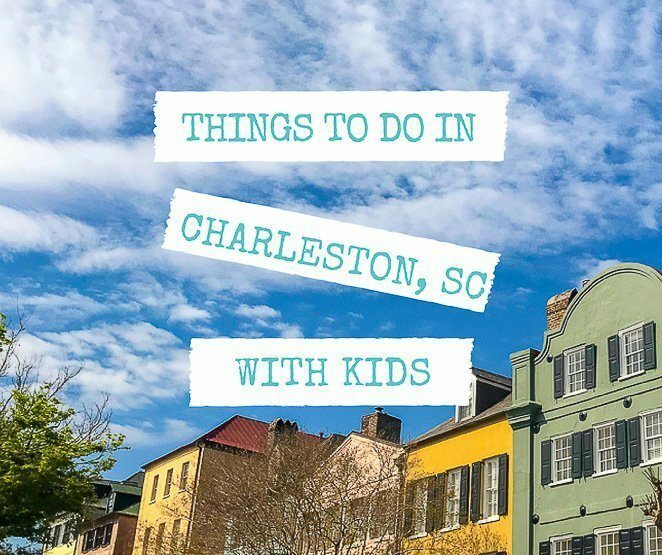 Do you have any other ideas of fun things to do in Charleston, SC with kids? Comment below and let me know! If you are planning a road trip down the East coast to Florida, then check out our top things to do on the West Coast of Florida or better yet, plan your family's trip to the Florida Keys with these tips!